One of the major issues in robotics development has been the ability of a robot to find its way around in a room or a building. 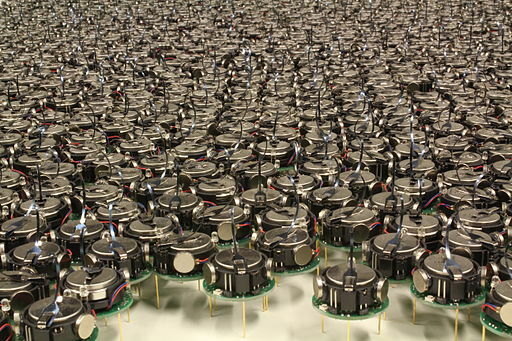 Robots have to be able to locate themselves within a space and then find their way around that space. Now, it seems that one group of researchers has found a solution to that problem. They have copied the functionality of the human navigation system into a robot. Software mimics the specialized brain cells in humans and animals that carry out this function. 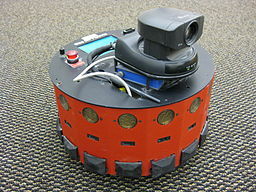 The robot mapping system is able to build a map of an office space and allow the robot to find its way in an unfamiliar environment. This development has many potential applications in robotics whether in robots that vacuum floors or in robots delivering mail in an office. Finding the way around an unknown area is known as simultaneous localization and mapping (SLAM). It is one thing to map out a room full of furniture that never moves, but what about the reality of the situation. Humans tend to move around and also move around the chairs in a room. 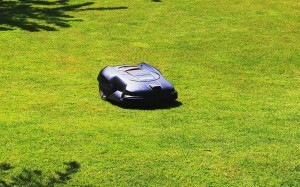 This means a robot must adapt to this changing landscape of humans and objects. To be useful in everyday applications, robots must be able to solve these navigation problems. To humans it is second nature and automatic. For robots it is sensors and programming. What do you think about this issue? Leave a comment with your ideas or follow up with a question of your own. A robot with a navigation system that mirrors the neural scheme used by humans and animals to find their way around has been developed by A*STAR researchers. 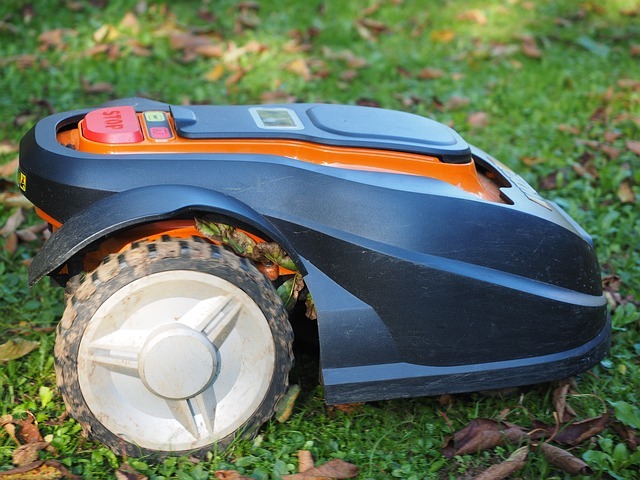 Have you ever wanted to build a multipurpose robot? A robot that would do many things well here’s someone who’s done this this robot is based on the design of a CubeSat. CubeSats are small satellites built in the shape of a cube. 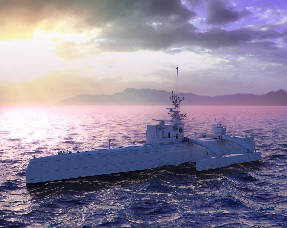 This project is called the Rapidly Deployable Automation System or RDAS. Are you interested in a project where human tele-operational control of a robot rover is possible with a hands-free wearable headband that tracks the human’s head movements, thus moving the robot? These small spacecraft were originally designed as an inexpensive alternative for opening up space exploration too many opportunities that would not necessarily take place with the more expensive satellite technology. Another reason for developing these CubeSats was to push the technology to see what could be accomplished in a very small inexpensive platform. One of the first examples of a CubeSat was the Vermont Lunar CubeSat. The ambitious goal of this project is to develop a cube sat that will eventually orbit the moon. The initial satellite, which cost about $50,000 and funded in part by a grant from NASA, served as a test bed model for spacecraft navigation and guidance. A CubeSat (U-class spacecraft) is a type of miniaturized satellite for space research that usually has a volume of exactly one liter (10 cm cube), has a mass of no more than 1.33 kilograms, and typically uses commercial off-the-shelf components for its electronics. The eventual goal of the project is to build a CubeSat capable of orbiting the moon. It was launched on November 19, 2013 from Wallops Flight Facility in Virginia as part of a payload containing two NASA, 11 university, one high school and 14 Air Force CubeSats. 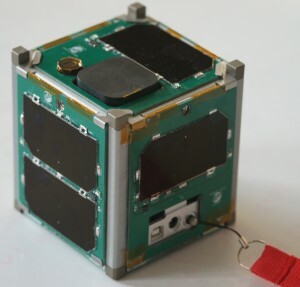 The CubeSat robot developed by “Erin RobotGrrl” is a 3-D printed bot made of both rigid and flexible materials and is equipped with hinges which allows it to fold into a cube. This robot is designed for a number of task. 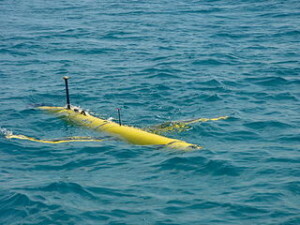 Some of those task include monitoring of natural disasters, exploration, and remote measurements of the environment. One very interesting component of the project is the unique 3-D printed headset. The headset is used to control and operate the cube shaped robot. One future possibility for this little robot could be the exploration of the surface of Mars. Let me know what you think about this. Leave a comment. Nao robots are finding uses in many areas. These little guys have been the first to show signs of self-awareness and are one of the most popular robots for education and research. Now a Nao robot could be the first humanoid robot to take up permanent residence on the International Space Station (ISS). Now, I know some of you might be saying wait a minute here. Isn’t there already a humanoid robot on the ISS? After all, Robonaut 2 has already made a home on the ISS and has proved to be a valuable member of the crew. I asked this question myself. I wonder if Robonaut is not considered humanoid since it does not have the lower part of its body attached. Or maybe Robonaut is not a permanent part of the crew. 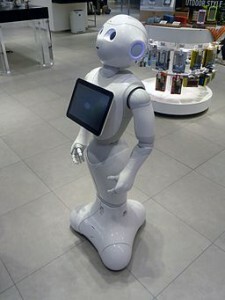 At any rate, in the article I read about this, Nao is being touted as the first permanent humanoid resident. A research team at the French Institute of Health and Medical Research just put mankind a bit closer to complete robot rule this past month, outfitting the humanoid robot Nao with an “autobiographical memory.” To make this accomplishment even more astounding, the team intends to push for its new robotic system to become a permanent member of the International Space Station. 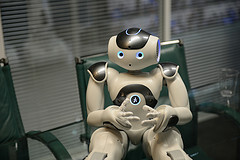 Nao may be considered the first humanoid robot on the ISS, but it will not be the first robot. There have been many robots on the station over the years. The station has several robot arms to assist with tasks such as capturing resupply vehicles and moving station modules into place. Perhaps the most famous is the Canadarm2 or the Mobile Servicing System (MSS). This robotic arm was launched to the ISS in 2001. It has been very important in assembly of the ISS. Also, its aids astronauts when they are conducting spacewalks. Another robot on the station is the Robonaut 2. This humanoid robot, also known as R2, went to the ISS on the shuttle Discovery in the STS-133 mission. 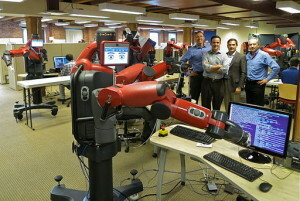 R2 is a test platform to generate data on how a robot may work with astronauts in the future. This bot has the ability to work autonomously as well as to be tele-operated by the astronauts or from the ground. Three satellites fly in formation as part of the Synchronized Position Hold, Engage, Reorient, Experimental Satellites (SPHERES) investigation. This image was taken during Expedition 14 in the Destiny laboratory module. NASA/International Space Station Expedition 14 Public domain. If you count the robotic arms on the ISS, there are quite a few robots onboard the station already. Besides the previously mentioned Robonaut, there are the SPHERES. NASA has been testing SPHERES on the space station since 2011. Pictured in the photo to the center left, they are flying in formation. These free-flyers will receive an upgrade with a smartphone to become a bot known as Smart SPHERES. …this prototype free-flying space robot equipped with a smartphone, known as Smart SPHERES (Synchronized Position Hold, Engage, Reorient Experimental Satellites). The station astronauts have upgraded these existing space robots to use Google’s “Project Tango” smartphone, which features a custom 3-D sensor and multiple cameras. 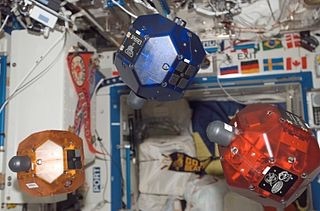 Smart SPHERES are being used to test free-flying 3-D mapping and navigation inside the space station. 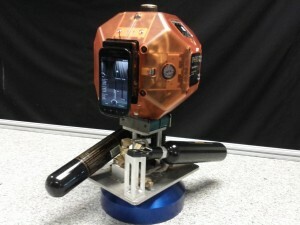 NASA developed the Smart SPHERES to perform work on the space station that requires the mobile sensing the bots have onboard. It is hoped they will carry out environmental monitoring of levels of radiation, lighting, and air quality. Smart SPHERES is funded by the Space Technology Mission Directorate at NASA Headquarters. What is the future for robots on the ISS and beyond? Robots will continue to play a role on the ISS as new and more capable machines are developed. When missions beyond low Earth orbit are conducted in the future robots will almost certainly be along side of the astronauts. Its hard to imagine that they would not. Space robotics will be able to enhance the ability of humans to conduct safe and successful missions. What is your opinion on the place of robots in human spaceflight? Let me know with your comments. This past weekend witnessed an event held in Australia that showcased the robotics future. 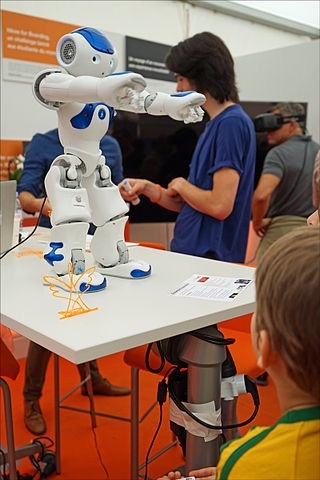 Known as the 2015 Robotronica Festival, the celebration presented cutting-edge robotics in a series of workshops, demonstrations, games, and discussions. The publicity for the event included the following statement in a news article. Take part in a journey from the beginning of imaginary robotic life right up to them evolving almost as clever as humans. Robotronica was held at the Queensland University of Technology (QUT) and basically was a festival of all things robotic. Not just the current state of robotics, but the robotics future was explored and presented at the Brisbane, Australia event. Its primary aim is to educate people about robotics and its future. In 2013, the first occurrence of the festival attracted over 10,000 people. The 2015 Robotronica festival is a celebration of innovation and an opportunity to glimpse the possibilities of the future. Part of the attraction this year was the chance to meet the one of the world’s first cyborg artists. He has an implanted antenna in his head that extends over his head to dangle in front of his forehead. Although he is colorblind, his implant allows him to hear colors. Can a team of soccer playing robots beat the best human soccer players in the world? And can they accomplish that feat by the year 2050? Each year a soccer tournament for robots is held to determine the best robot team in the world. Eventually, the plan is for the best humanoid robot soccer team to play the best human soccer team. The annual RoboCup competition features humanoid robots trying, and sometimes failing, to play the beautiful game in a series of soccer tournaments. Last month, a team of US robots defeated their robotic counterparts from Iran in the finals of the RoboCup. Currently, the robots play soccer under a heavily modified set of rules to accommodate the state of robotic technology. Rule changes are incorporated into the competition to push the technology and make the league play more like the real world of human football. There is a roadmap that outlines how the robot teams finally get to 2050. The most interesting of these RoboCup competitions occur in the Humanoid League. The robots in this league are required to have a body that is like a human in that it has a head, two arms, and two legs. And, the bots can only use sensors that allow them to move and perceive the world around them like a human counterpart would. 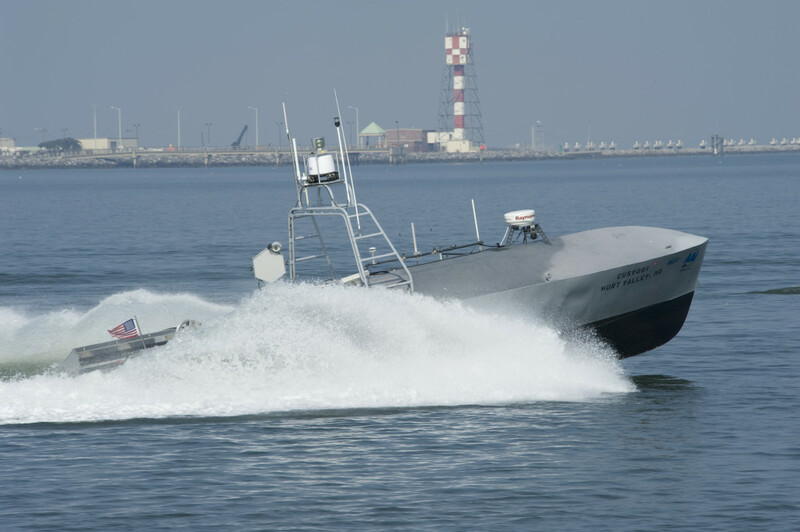 That means they have to do things like see the soccer ball, figure out its trajectory, and sense the environment around them without the assistance of some of the advanced sensor technology commonly found in today’s robots. 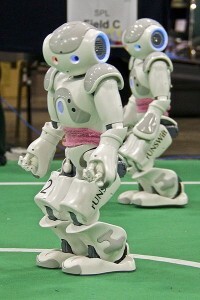 RoboCup is an international robotics competition originally conceived in the mid-1990’s and officially started in 1997. The overall goal is to promote robotic technology and artificial intelligence research. This is done through a sports framework in order to appeal to the public. The name RoboCup is a contraction of the competition’s full name, “Robot Soccer World Cup.” There are several other divisions in the competition that include contests in rescues and other areas. In 2014 the world’s competition was held in Brazil. RoboCup 2015 was held in Hefei, China. Given the ambitious goals of the RoboCup, do you think there is a chance that they succeed in producing a team of humanoid robots that can beat the best human soccer players? Let me know what you think. Social robots: What are they? How can they be used? And what are we to make of them? In this article, social robots are touted as a new trend in robots for the home. 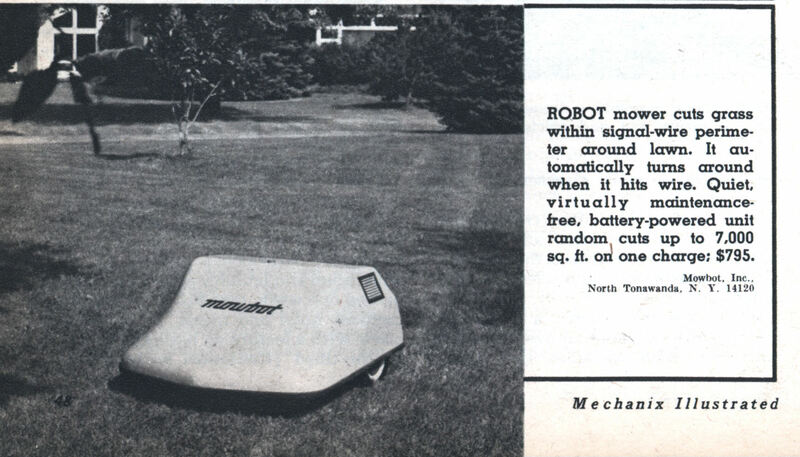 Some robots have often been described as possessing social qualities (see for example the tortoises developed by William Grey Walter in the 1950s), social robotics is a somewhat recent field in robotics. Since the early 1990s artificial intelligence and robotics researchers have designed and built robots to interact with humans on a social level. Japanese researchers have done much development in social robotics, see especially work by Takayuki Kanda, Hideki Kozima, Hiroshi Ishiguro and Tomio Watanabe. Social robots have tended to be more humanoid in many cases, but many current robots in this category do not have humanoid body shapes. A good example is Paro. This robot is in the body of a harp seal. It is intended to interact with patients and to provide comfort and companionship. There is continuing development in this area of robotics, but much is left to be done before a true social robot is available. A social robot should be able to act autonomously in its actions towards humans and should know human rules of good service. The social bot should interact with humans in a way that conforms to accepted social rules. What are your thoughts on this topic? Let me know what you think.